While enjoying a pitcher and some nachos in The Yard, I had a long conversation with Niek. Unfortunately The Yard doesn’t serve noodles, so Niek needed to accept the Mexican nachos. Niek went to Shanghai for 4 months. His reason to study in Shanghai was clear, about 6 years ago Niek went to China with his high school. During this trip he became very enthusiastic about the Chinese culture and especially about Shanghai. Niek went to Shanghai with the expectation that a lot would have changed in 6 years, his expectation was true. “When I went to China 6 years ago every Chinese wanted a picture with me, now there were barely people who wanted a picture with me.” Whether this is because Chinese people are more accustomed to western people or that Niek hasn’t become more attractive than 6 years ago.... you can decide for yourself 😉. Beside this, a lot of typical old Chinese neighbourhoods are replaced for big apartment complexes. 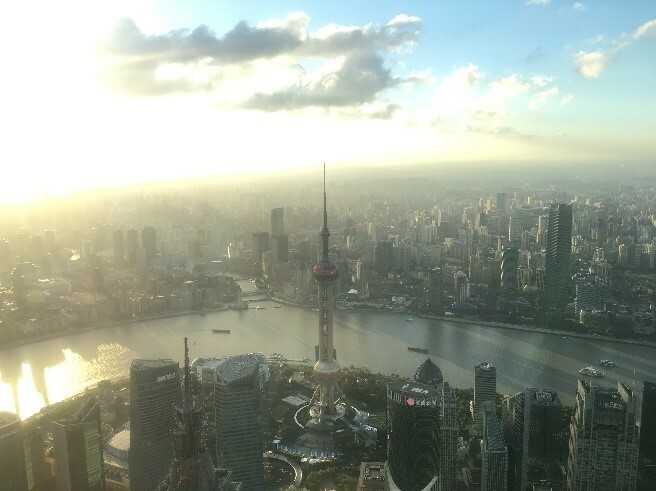 Niek should studying in Shanghai recommend to everyone, not for education but for the experience and the culture: “Studying in Shanghai is a little bit like the introduction week in Nijmegen. You don’t know anyone and you need to take care of yourself.” Last piece of advice from Niek: If you are going to study in Shanghai, you need to live nearby the centre since there are more bars and restaurants.